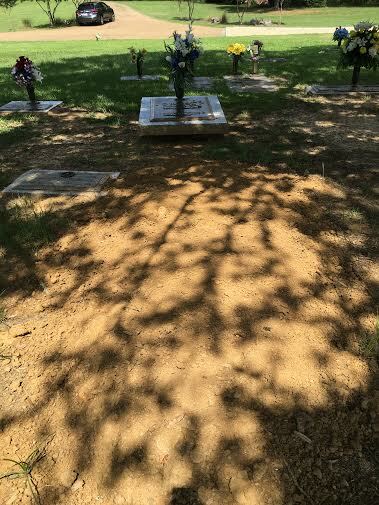 I ended my post on July 4, “A Time to Grieve,” I by saying I was no longer grieving (the death of my mother on May 22.) I was wrong. It’s not that I lied; I just didn’t recognize grief. Nor did I expect it, as I’ve said before, because of the less than perfect relationship I had with my mother, and because I really “lost her” to Alzheimer’s several years ago. My grief morphed from sadness into depression this summer. There were days when I couldn’t motivate myself to write or call a friend or do anything but sit in my recliner chair and watch re-runs of “Law and Order.” I had a couple of health issues going on—a summer cold and a pulled muscle in my lower back—but they wouldn’t have been enough alone to plunge me into a depression. I looked at my elliptical machine as I watched TV, but couldn’t motivate myself to exercise. I ate junk. I drank too much. I gained back some of the weight I had worked so hard to lose. The oppressive summer heat wasn’t helping. Although this wasn’t Lee Smith’s reaction to grief—she had the opposite experience of being unable to sleep and eat and function and lost thirty pounds—her words here rang true to my experience this summer, during the two and a half months since my mother died. Grief gets physical. It can affect your eating habits, so you might lose or gain weight. It can make it difficult to sleep or to stay awake. Grief can cause shortness of breath, frequent sighing or dizzy spells. You can experience tightness in the chest or throat, headaches, gastrointestinal pain, or sexual problems. Grief can lower your resistance to diseases. Talking to the loved one who died. Many people have told me that they found it helpful to talk to their loved one who died. They were afraid to admit it at first until they learned other people do this, too. You could carry on a conversation with your loved one at the person’s grave, while doing the dishes, in the car, or simply by talking to his or her photograph. For years after my father died (in 1998) my mother talked to his photograph. 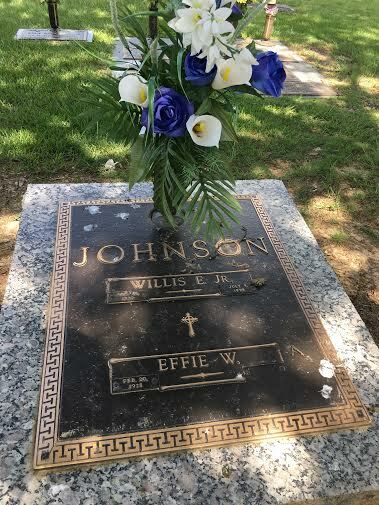 And she visited his grave frequently, taking a bottle of water and paper towels to clean off the tombstone and new silk flowers to replace the old ones as they faded in the hot Mississippi sun. I pictured her doing this yesterday, as I talked with Mom, Dad, Mike (my brother) and Mary Allison (my Goddaughter), whose graves are within a few feet of each other on a beautiful little hill near a comforting shade tree with a memorial bench underneath—the perfect place for talking with the dead. I was feeling some of this myself as I planned my trip to Jackson this week, my first since I was here in May for mother’s hospitalization, death, and burial. I’ve been making monthly trips from Memphis to visit Mom in the nursing home for eight and a half years. And before that, I visited her in assisted living every two weeks for over three years. My trips to Jackson were an integral part of my life, and it just hit me this week that I no longer have a “reason” to drive down here every month. I found myself scrambling to make plans to have lunch on Thursday and Friday with friends of my parents. And then to have drinks last night with an old high school friend—one I hadn’t seen in several years. What a healing time that was, as my old friend and I talked about our mothers, our spouses, our children, our lives back in high school as compared to now, in this seminal year when we both turn sixty-five. I felt my spirits lifted by those shared experiences, and we plan to get together again on my next visit to my hometown. My next visit. See? I won’t be abandoning Jackson, as much as I told people for years that I couldn’t wait to leave it and have never missed it. There are lots of wonderful things about this city, including the items pointed out in the article in Southern Living: “5 Things You’re Missing in Jackson, Mississippi”. I’m also missing my niece, Aubrey Leigh, and her husband and two sons, my great nephews who live in Jackson, so I’ll be back to visit them soon. I’m leaving Jackson after lunch today with a close friend of my parents, but I won’t be headed back to Memphis yet. I’m driving down to Gulfport to spend the weekend with a dear Goddaughter and her family. Katherine lost her mother to cancer at a young age, so her children are growing up without one of their grandmothers in their lives, something many of us take for granted. I have Godchildren (who used to live in Memphis) spread out from North Carolina to Mississippi to Alabama to Pennsylvania to Washington (state) now, and of course two children and four granddaughters in Colorado and a son in Louisiana, so travel is an integral part of my life. Fortunately, I love to travel, since it feels like bits of my heart are spread out all over the country. Next up? Denver next weekend, for two granddaughters’ birthday parties! And hopefully, I’ll be farther along in my journey through grief, healthy enough to shower those children with love from their mother and grandmother. I’m so sorry for your loss. Grief is a bumpy road. I lost my beloved husband in Feb. 2016 and it has been a terrible journey. Please try to watch some Ted Talks on grief, there are some very good ones that have helped me a lot. God bless and hang in there. Hugs. Thanks, Alison, and I’m so sorry for your suffering. I’ll check out the Ted talks – thanks! We’re so glad you are here! My children are so blessed to have parents, grandparents, aunts and uncles (both family and “adopted”) who cherish them; and, yet, I imagine how much richer still their lives would have been with their GrandMary in them; so I don’t ever think about it. I am definitely one who represses grief to function. But it seems to me that grief wants to be expressed so it either comes out as grieving or as physical ailments. I;m glad that you have recognized your grief for what it is and can begin to work through it. I love you! Katherine, I’ve thought about you often this summer, losing both your parents when you were so young–especially your mother. I was 47 when my father died, which was such a huge loss in my life and the lives of his grandchildren. At 65, it should feel more “natural” for me to be losing my last parent, but now I’m learning that “natural” can include grief. Thank you for sharing your grief experiences with us. I pray for peace, comfort, and insight as you continue to deal with the changing course of grief. Given that my family has been dealing with several losses this year, I can relate to so much of what you are saying. Thanks, Joanne. 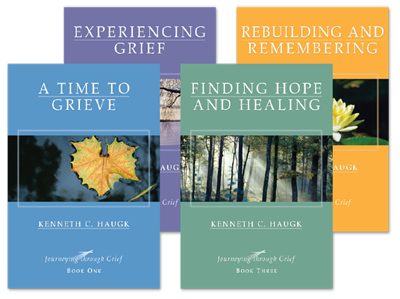 I recommend these books for anyone dealing with loss. What a beautiful post, thanks for this. I wanted to suggest another book, “Mature Grief: when a parent dies” by Donna Schaper. It helped me tremendously after my Dad passed away in 2014 from dementia. May the peace of the Lord be with you always.